On March 27, 2014, about 200 of RCLCO’s clients, friends, and colleagues came together online for a high-level discussion of the trends influencing the performance of the nation’s most successful master-planned communities.1 Gregg Logan, an RCLCO Managing Director and leader of the firm’s Community and Resort Advisory Group, moderated an informative hour-long conversation with RCLCO colleagues and the developers of several of the top-selling communities. 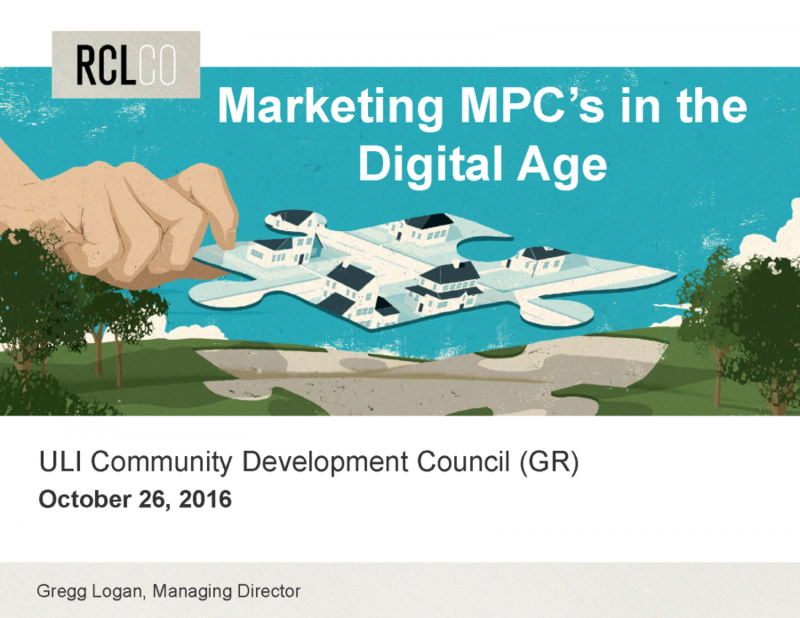 During the preparations for the webinar and the webinar itself, the developers, as summarized below, shared some of the factors that have contributed to their success, while the RCLCO participants shared observations from the firm’s most recent master-planned community (MPC) research. The developer participants were Richard T. Ray, President and Chief Executive Officer of The PARC Group, a real estate development firm responsible for the successful Nocatee MPC near Jacksonville; Kevin T. Orrock, President of Summerlin in Las Vegas, one of the largest and most successful master-planned communities in the country; and Doug Goff, Chief Operating Officer of The Johnson Development Corporation, a Houston-based firm responsible for four of the top-selling MPCs in the country, all in Texas: Cross Creek Ranch in Fulshear, Riverstone in Sugar Land, Sienna Plantation in Missouri City, and Woodforest in Montgomery. 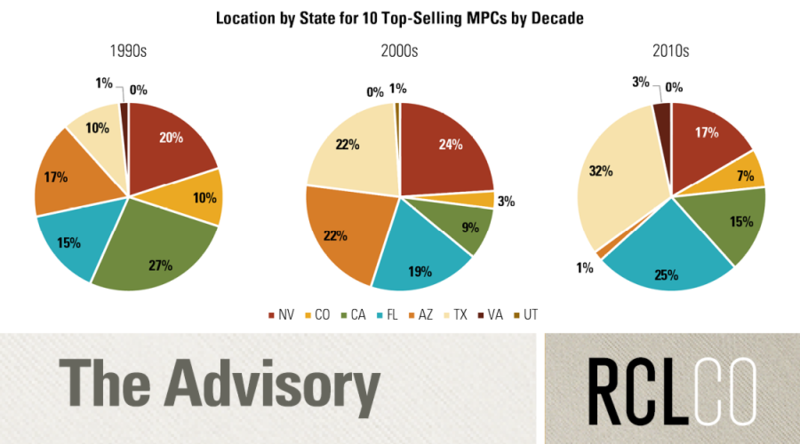 For the past 20 years RCLCO has conducted a national survey identifying the top-selling MPCs and has conducted in-depth interviews with developers of the top 20 to reveal the trends behind the numbers. 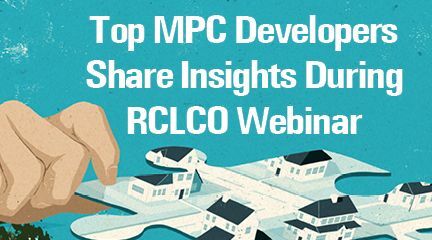 MPCs fill a unique space in the residential real estate landscape, due in no small part to the vision of industry leaders like those who participated in the RCLCO webinar. The participants represent MPCs that have been thoughtfully designed to create their own unique character and sense of place, and their efforts have resonated with both builders and consumers. 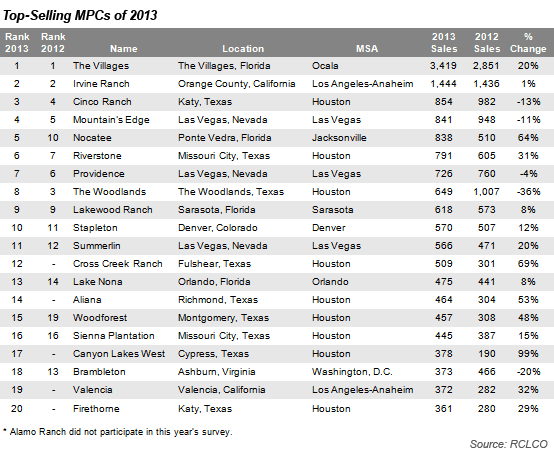 In some market areas, such as Houston, MPCs are once again accounting for a substantial share of the market, and many are commanding premium pricing of 15% to 20% over their non-MPC competition. In some markets, including those that were perceived as having the worst excesses of the downturn, such as Las Vegas, MPCs have come back much faster than anticipated. Still, trying to plan far enough ahead in an uncertain economy remains a challenge. Gregg Logan (RCLCO): How are MPCs faring in this recovery as compared with past recoveries? 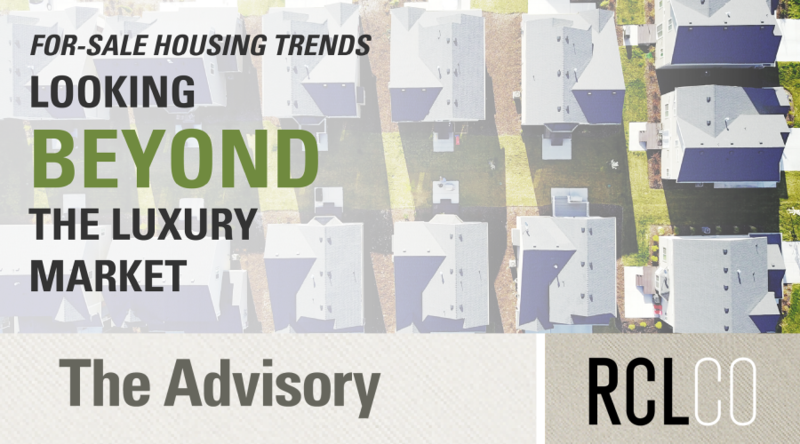 Rick Ray: It took several years for us to realize that we would actually see a recovery, but when the market started to turn, we quickly saw the benefits of the pent-up demand, not only from new household formations but also from buyers waiting to make a change. Those that continued to invest in development during the recession were positioned well with lot inventory to take advantage of the demand. Doug Goff: From a historical perspective, the last major downturn in Texas and Houston was in the 1980s with the S&L crisis and the government sales of distressed assets at pennies on the dollar thru the RTC (Resolution Trust Corporation). At that time, land and all forms of real estate lost significant value, and it took a very long time for the market, and MPCs, to rebound. Fast forward to the current recovery, Houston didn’t experience the run-up in pricing and thus wasn’t affected by a bubble implosion. We plodded along at 3-5% growth while many other markets enjoyed double digit and 20-30% annual price escalation. So while our new home starts went from 50,000 per year in 2005 (15-20,000 of which were fueled by subprime mortgages) to less than 20,000 in 2009, we have still led the nation in starts for the past five years—escalating to over 27,000 this past year. 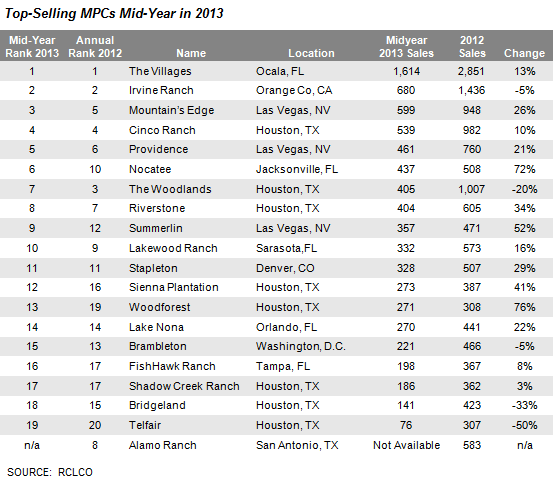 Fortunately, this recovery has been very different from the protracted rebound in the late 80s and early 90s, and today MPCs account for about a third of the overall new home market in Houston. So this past downturn was much less painful than the previous one. Kevin Orrock: If you think about the great recession, Las Vegas was the epicenter of everything that went wrong, and there was an awful lot of pessimism about Vegas’ potential to rebound. But the market has been trending up, as fewer than 4,000 new homes were sold in 2011, and there were 7,300 in 2013. Not huge numbers, but big year-over-year increase. Consumer confidence is up, builders are back in the market, and the recovery has been quicker than forecasters had expected. And we are off to a great start for 2014, with lots of interest from the public builders in the superpads we’re marketing. 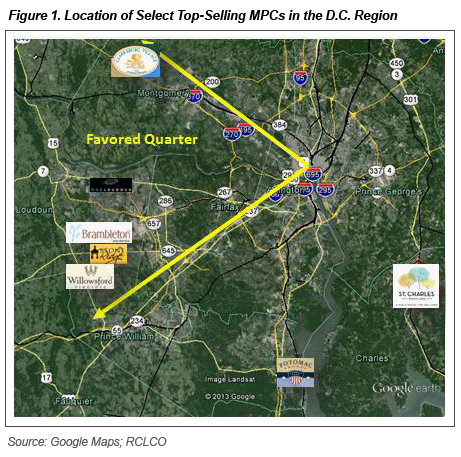 RCLCO: How well are MPCs keeping up with demand and the lot deliveries to satisfy demand? 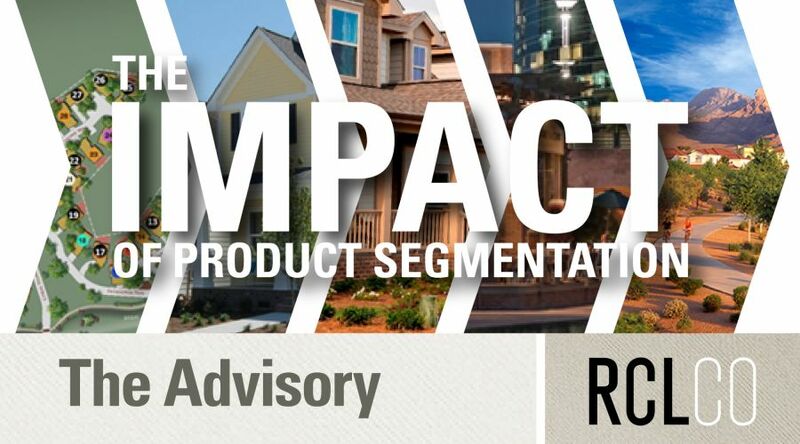 Rick Ray: Trying to plan far enough ahead to have the right inventory and builders in place to meet the product segmentation strategy is challenging, as it takes us between 18 and 24 months from the time we identify demand for a new product to the time we can deliver a finished lot. 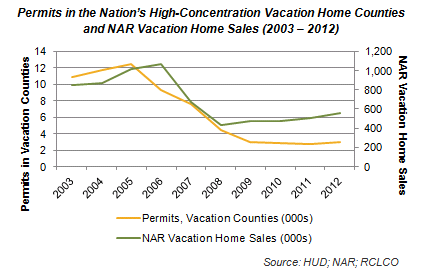 A lot happens on the national level during that time that affects the local demand for housing. Strong demand is a good thing, but it also provides a challenge. For example, we’re currently developing 1,200 lots in our MPC to keep up with the sales pace of our builders, which creates an element of risk should the market change. Doug Goff: First and foremost, we can’t forget that homebuilders are our primary customers. Regardless of their land development strategy, we have always treated them with respect and fairness because the only thing we know for sure is that this seller’s market will eventually turn into a buyer’s market, and there are long memories out there and we want to maintain good, solid long-term relationships. 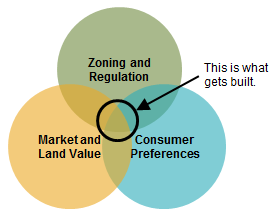 That being said, we understand that many public builders need to buy land and develop lots to feed their machine. And in most cases, they treat land as a commodity just like concrete and lumber—incorporating it into their building operation at cost. Obviously, this means they can pay more for raw land because they do not have to factor in a developer margin. This has caused a significant run-up in land prices that has affected new MPC development. Johnson’s response to this changing market dynamic has been to enter into joint ventures with landowners (including builders), and we are contracting our development services on a fee basis with performance-related incentives. Kevin Orrock: We are opening up a new village in the south section of Summerlin this year to help meet demand. 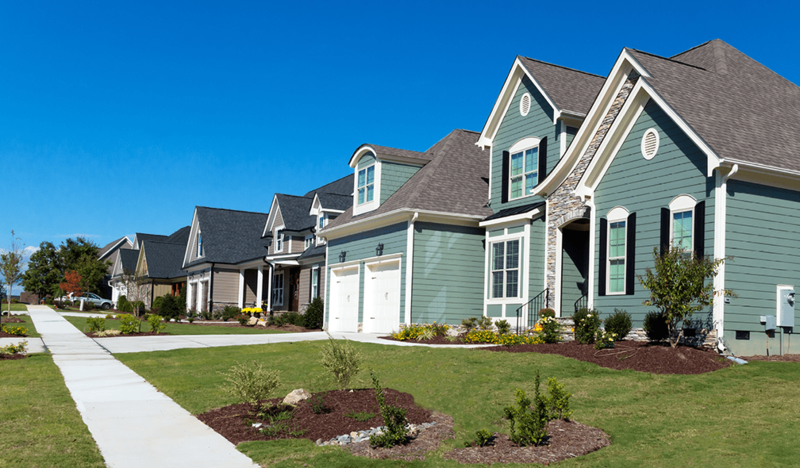 We continue to execute on our business plan to rebuild our homebuilder partners’ inventory pipeline. There is a limited supply of land in the market overall, and many of the remaining parcels are between five and 20 acres. There are few large, contiguous, economically developable parcels remaining in the valley. RCLCO: In the past, builders and consumers have been willing to pay a premium to buy into an MPC: for the consumer to benefit from the superior environment and lifestyle, and for builders because of the high consumer demand. To what degree is that still true today? Kevin Orrock: Homes in Summerlin command $140 to $200+ per square foot, compared to non-MPC competitors still in the $90 per square foot range, so our quality and lifestyle are clearly worth more to many consumers. Rick Ray: In our MPC, almost 50% of our new homebuyers are relocating from outside the area. In almost every case, the reasons for the purchase point to location, amenities, environment, and lifestyle. 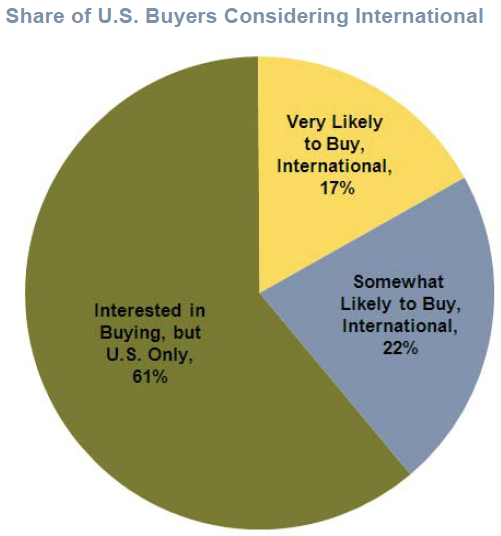 Most of our buyers see the actual home as second to the lifestyle that they’re buying into. Doug Goff: During challenging economic times, we’ve seen what economists call a “flight to quality” with buyers gravitating to MPCs because they are considered “safe havens” in comparison to less established developments. This is as true today as it was in the downturn. MPCs in Houston are capturing about a third of the demand, and buyers are willing to pay a premium for the quality environments and superior lifestyle choices we offer. 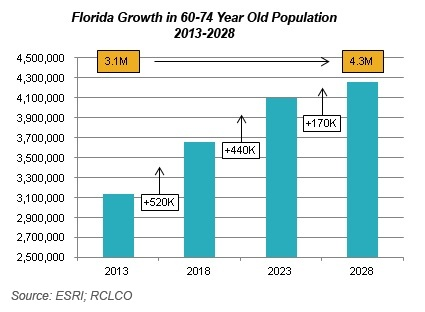 RCLCO: We hear a lot about changes in demographics, especially Gen Ys wanting more urban environments and boomers looking to retire, and Gen Xs still in the family years. How do you see demographic changes influencing the market for MPCs, in terms of overall demand, product segmentation, amenities, prices, etc.? Rick Ray: We have definitely seen demographic changes in our market, and we continue to look for unique ways to meet these demands. Empty nesters are downsizing but still want the lifestyle offered by an MPC, and still want the amenities for their visiting grandchildren. 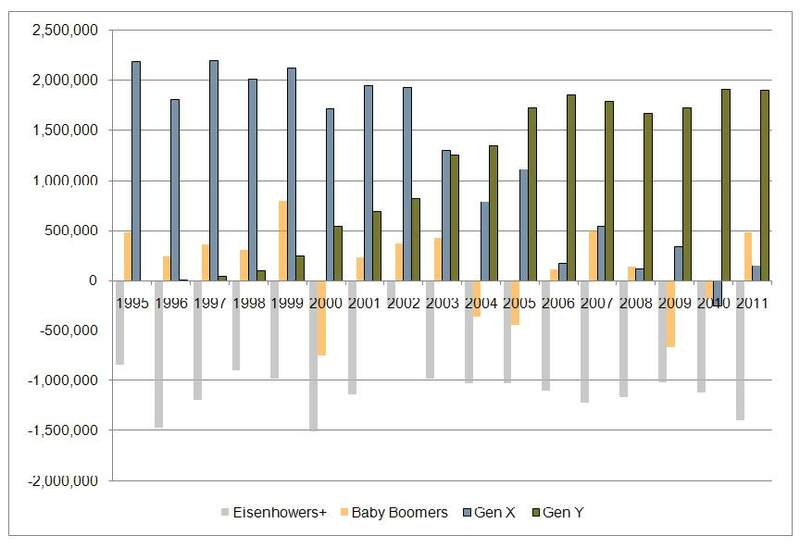 We’re seeing an increase in the need for multigenerational homes also. Kevin Orrock: To address the segment that wants a more urban environment, we’ll need to create those urban environments within the MPC. RCLCO: What is the role of product segmentation in your communities? How does your product segmentation strategy correlate to your annual sales targets, or ability to hit those targets? Kevin Orrock: Our segmentation strategy starts with square footage bands we provide to the builders; each has a range, with some overlap but not too much. We’re primarily marketing superpads. We do a good job of monitoring builders’ inventory; we try to strike the right balance between too much and too little. The introduction of The Shops at Summerlin, our new town center, creates opportunities for new residential products. Doug Goff: In large-scale MPCs, product segmentation is everything. An old adage that I’m sure you’ve heard is “how do you eat an elephant?—it’s one bite at a time.” Well the same is true for MPCs. We sell individual lots, so the more times we get a bite at the apple, the quicker we are going to move through the large amount of land we typically have in our MPCs. Our goal is to offer as wide a variety of housing choice and price points as the market will respond to. We offer a vertical integration of housing targeted to families from the $200s to custom homes in the $5- $10 million range. 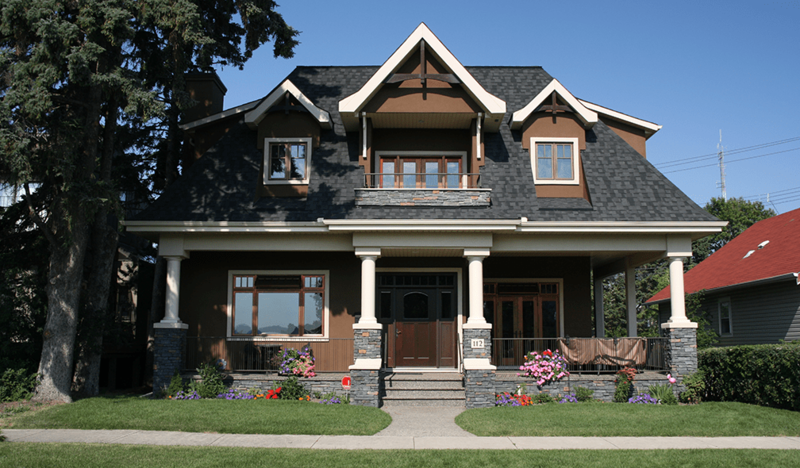 And within these price points, we offer specialty products like patio homes, craftsman homes, alley-served neotraditional homes, attached duplexes, and townhomes that serve to broaden our reach. And to answer your question, this is the basis upon which our financial models are created and our sales goals and investment objectives are achieved. Rick Ray: Our development plan is based on product segmentation and demographics of the buyers. This allows us to broaden our offering without cannibalizing sales in our existing communities. For us, effective segmentation allows us to maximize sales. RCLCO: How often do you revisit your product segmentation strategy? Who within your organization typically has responsibility for that? I.e., is it you, or your sales and marketing team, conversations with builders that want to come in and be in certain products, or what? Rick Ray: We review our segmentation strategy quarterly and involve most of the functions within the organization. We also have individual meetings with our builders and review our square footage banding restrictions and planned product. We also seek their input on segment opportunities that they see working elsewhere in the country. Doug Goff: We revisit product segmentation constantly. We have great teams of dedicated professionals in each of our communities and corporate office that are involved in looking for new opportunities to expand our business footprint. Everyone has the same mission, and they are always talking to builders and evaluating visitor and buyer surveys for holes in our product offering. And they are students of this business and surround themselves with very smart people like you and your RCLCO colleagues to help us with both the big picture and to drill down into the details. In Johnson Development, team members are empowered to bring new ideas to the table, and there are no dumb questions. The esprit de corps, the enthusiasm we at Johnson have for this business, is still led by our founder, Larry Johnson, who continues to be very involved in decision-making and is very inspiring. 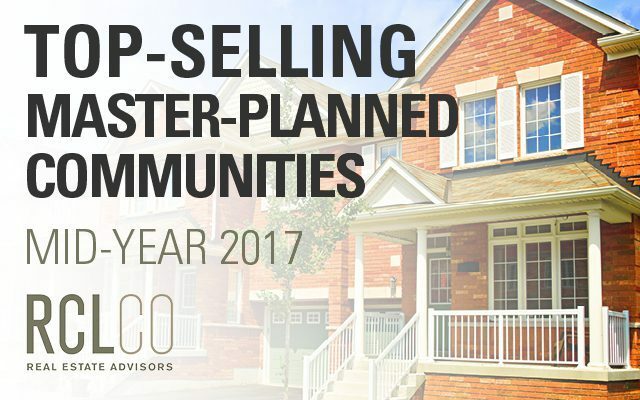 RCLCO: What price points and buyer segments are likely to be the most successful this year in your MPCs? Doug Goff: Move-up buyers in Houston are a very big part of our market. The segment we are not servicing very well is the first-time homebuyer. Our economics just can’t get us to a lot price that can produce a single-family home in the low- to mid-$100s. 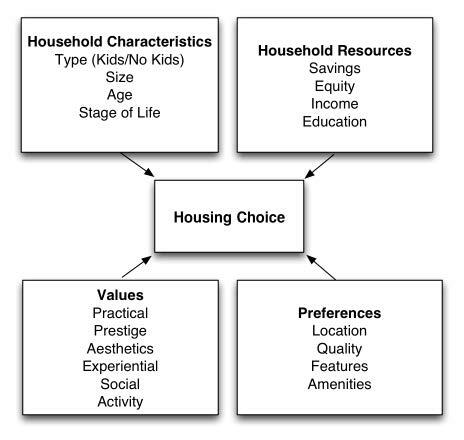 What we can and do offer is attached for-sale housing and luxury multifamily rental properties that come close. 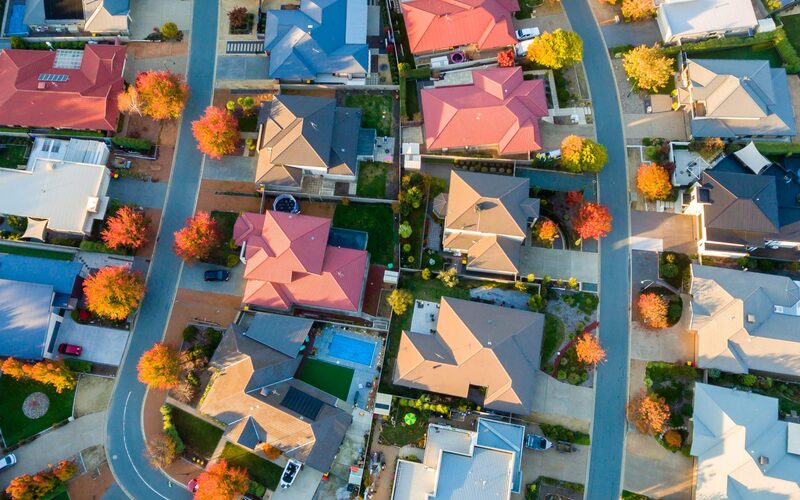 But in actuality, with rental rates in MPCs at $1.50 to over $2.00 per square foot in some suburban markets, this is considerably more than what mortgage payments are for housing targeted to first-time buyers in outlying subdivisions. Rick Ray: We make sure we don’t lose sight of the broader market, though it’s tempting to move up prices as things heat up. Our “sweet spot” is still the $250,000 to $300,000 range. When it comes to pricing we always err on the side of velocity over pushing prices. 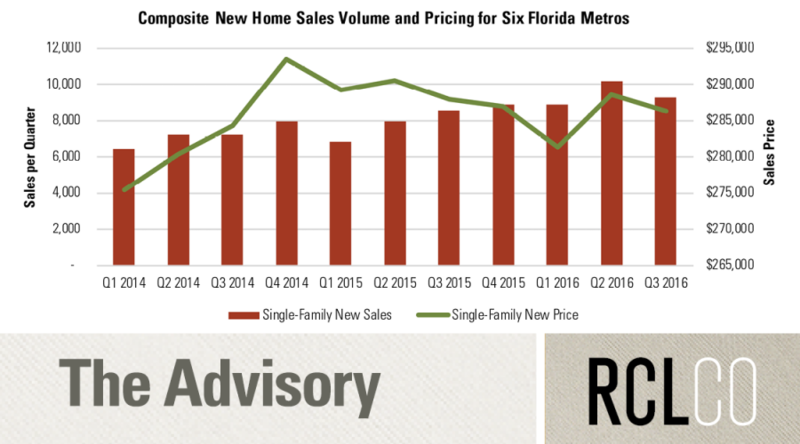 We’re continuing to see steady demand and pricing in the first-time homebuyer and move-up markets. 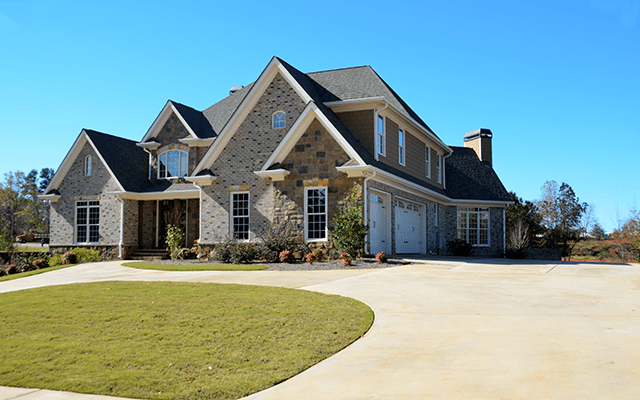 But we are also seeing a surge in the $500,000 market, and a lot of opportunity with the baby boomers downsizing to think about new products and neighborhoods. 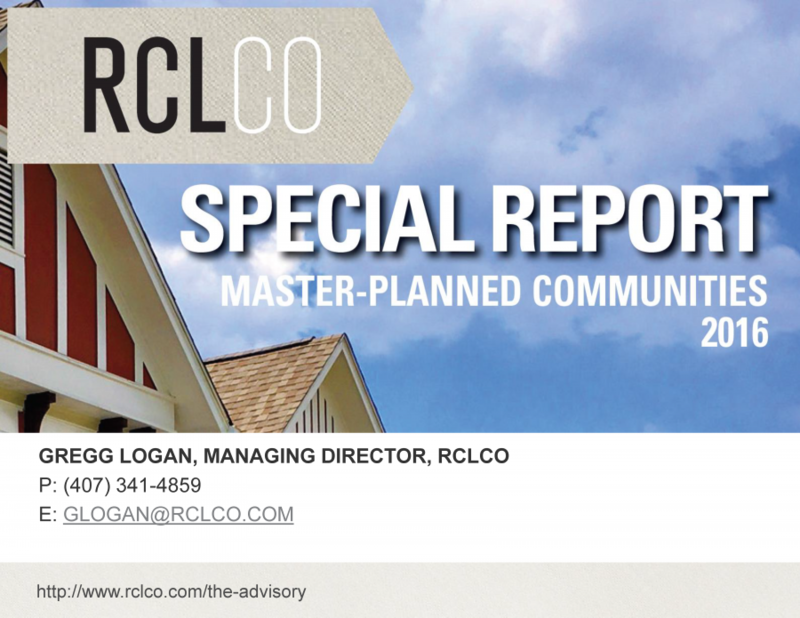 RCLCO: What is your lot takedown strategy and lot pricing—how will lot-pricing changes in each market impact demand? Have lot prices been changing and how significantly? Rick Ray: Over the past 10 years, we’ve seen a significant reduction in the number of local homebuilders and a corresponding rise in the number of national builders. Lot prices are the highest they’ve been since the recession, but we try to keep the lot price at 20% of the house/lot package or in the low 20% range. We have successfully used true-ups to manage the volatility of the market. Doug Goff: In the stronger submarkets, lot-to-value ratios are in the 18-20% range and, yes, they are moving up. The only exception to this is The Woodlands, where the management team has gone from a strategy of maximizing pace—where in some years they sold 1,500-2,000 homes—to one of maximizing margin. Today they are auctioning off lots to builders and achieving pricing in the $2,500 per front foot range. Needless to say, this is skyrocketing lot-to-value ratios beyond belief. 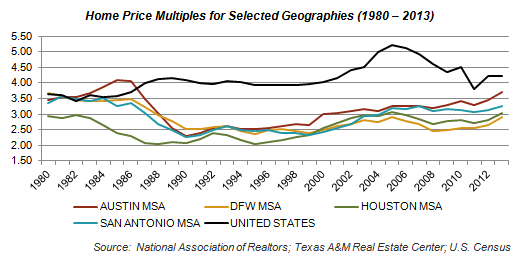 I’ve always said when we grow up, I want Woodlands-type pricing! RCLCO: What are you doing in terms of age-targeted product? 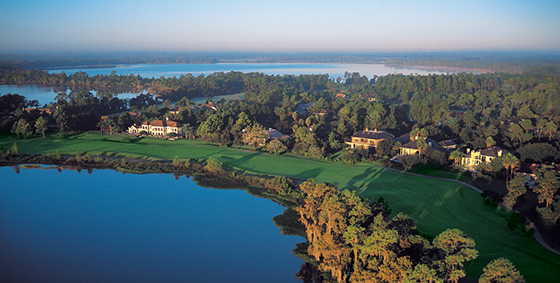 Rick Ray: Del Webb is a significant part of Nocatee, accounting for about a fifth of our sales. Kevin Orrock: Del Webb’s Sun City Summerlin has been an important part of Summerlin from the beginning, and has proven to be very popular with active adults, due in part to truly world-class amenities, and of course our signature parks and trails. We’re still thinking a lot about active adult beyond Sun City, but with more boutique products, targeting buyers who want more diversity in their neighborhoods, rather than introducing additional large-scale active adult villages. 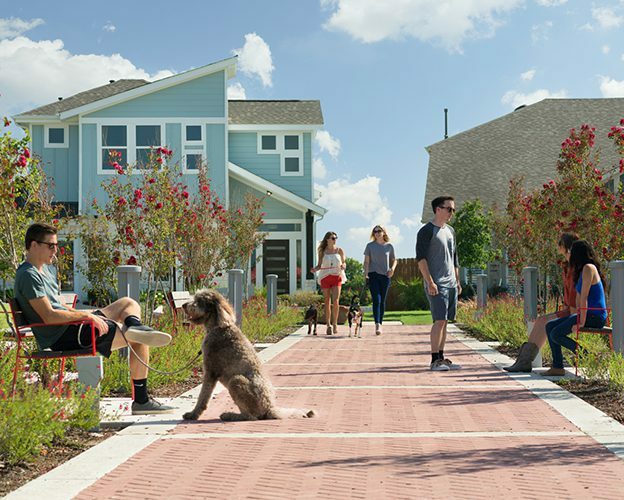 Creating new active adult villages with huge amenities is challenging financially. Doug Goff: Johnson Development is targeting active adult in meaningful ways in some locations and not in others; it really depends on how we see the opportunity. We currently have age-restricted active adult projects being developed within two of our newer communities. Both are located adjacent to two of the largest and most successful MPCs in Houston—The Woodlands with a population of over 100,000 and Cinco Ranch with over 15,000 occupied homes. These will be 200+ acre enclaves within ~3,000 acre MPCs with over 700 homes each and ~10,000 square feet of community recreation facilities. We believe these are not the Del Webb Sun City active adult communities of the past. Today’s aging boomers are choosing to live life abundantly, and their main focus is twofold: first on an environment that satisfies their passion for an active and spirited lifestyle, and second it’s their living spaces where they are demanding large, open gourmet kitchens perfect for entertaining, large master suites and spacious master baths, outdoor living opportunities, and oversized garages for extra storage for all the stuff they’ve accumulated over a lifetime. We are selling finished lots to our builder, Taylor Morrison, and they are constructing the recreation center. We’ve just begun this process and they are currently constructing nine models for delivery in the third quarter. RCLCO: To what degree are your amenities enabling you to realize competitive advantage in your market? What are the most important amenities to buyers? 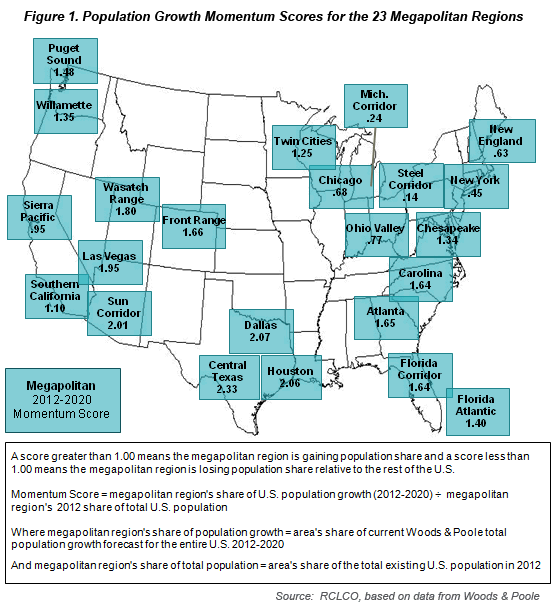 What critical investments are you making in that area? 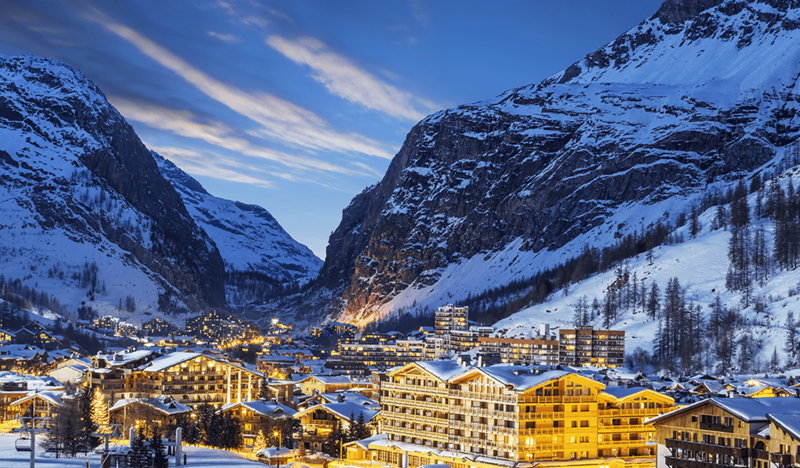 Does a certain scale of amenities attract a certain buyer? Kevin Orrock: Our amenities help define the Summerlin lifestyle; these include our parks and trails and quality schools. Also, our proximity to Red Rock trails and other major outdoor recreation remains important. Moving forward, the big story is our new regional center: The Shops at Summerlin. For the first time in our 20-year history, Summerlin will have a major town center with high-quality retail. This new urban center will serve the entire Las Vegas Valley with over 125 shops and restaurants in an exciting open-air shopping environment. We are essentially creating a walkable downtown in the heart of Summerlin. Rick Ray: Our amenities are very important to our buyers. 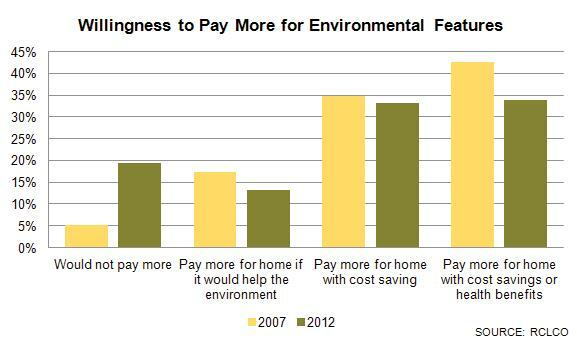 While walking trails and parks continue to be important, buyers are still attracted to the capital-intensive amenities. We have a $20 million waterpark that has only been open since 2008, but we are already doubling the size of the water park and adding additional swim facilities in different areas of the community. 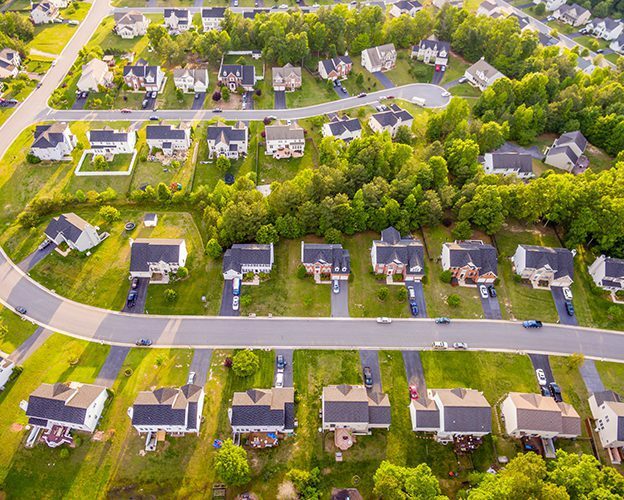 Doug Goff: Our relocation buyers—relos—are driven by three main factors: proximity to places of employment, quality of school systems if they are a family unit, and then the lifestyle offering of a community. 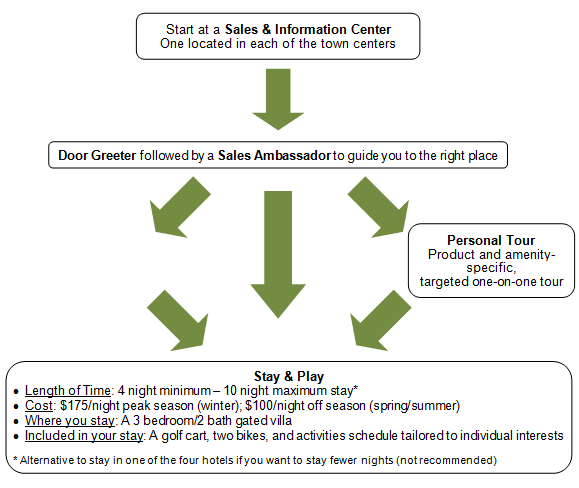 We compete quite well with the basic amenity package, but what differentiates JDC is each of our communities has a lifestyle coordinator; we call them our Director of Recreation and Fun. Their job is to program activities, events, and opportunities for our residents to gather, meet their neighbors, and enjoy the lifestyle. This may sound hokey, but at the end of the day our challenge is to design spaces where memories can be created—places that accommodate a high quality of life, stimulate emotion, and inspire memories, which are all emblematic of a great community. RCLCO: Historically there has not been a dedicated source of capital to fund MPCs. After the downturn we saw a lot of private equity players picking up deals with developer sponsors, and of course public finance is playing a big role in the development of infrastructure—utility districts in Texas, community development districts in Florida. We’ve been interested in learning more about the current appetite for investing in community development, and Taylor Mammen, RCLCO’s Director of Consulting, has led our research efforts on the topic. 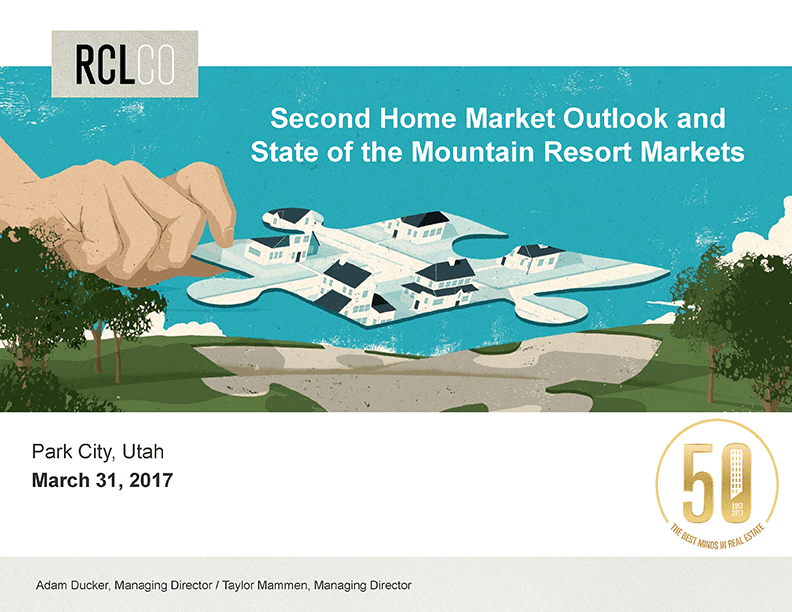 Taylor Mammen: RCLCO’s research on the capital markets for residential land indicates that we’ve clearly moved out of the distressed stage of the residential land cycle. There really are very few remaining opportunities to pick up distressed/broken land transactions, but there is a need in many markets for new lots. Capital, though, is not shifting as quickly. So far capital is more available for smaller transactions, deals with a 3-5 year timeframe, but not a lot for big MPCs, though we suspect that will change. Debt is still not available for most land transactions —sometimes for construction, but typically not for acquisition or land development. Private equity is active, of course, and still looking for 20%+ returns, which isn’t always feasible. Homebuilders are stepping in to fill the void since their low cost of capital allows them to outbid many other players, but of course that is not going to last forever. We’re anticipating the reemergence of old models—equity that looks like debt (or debt that looks like equity): land banking, mezzanine lending, lot option deals, etc. RCLCO: Does the MPC business model still make sense; is there a strong future for MPCs? Doug Goff: Yes, of course. That’s our business model; we continue to find MPCs play an important role in the residential community development sphere for those buyers that want vibrant, high-quality environments, and those builders who want to leverage their risk by putting some of their eggs in our basket. We think it’s a good investment. 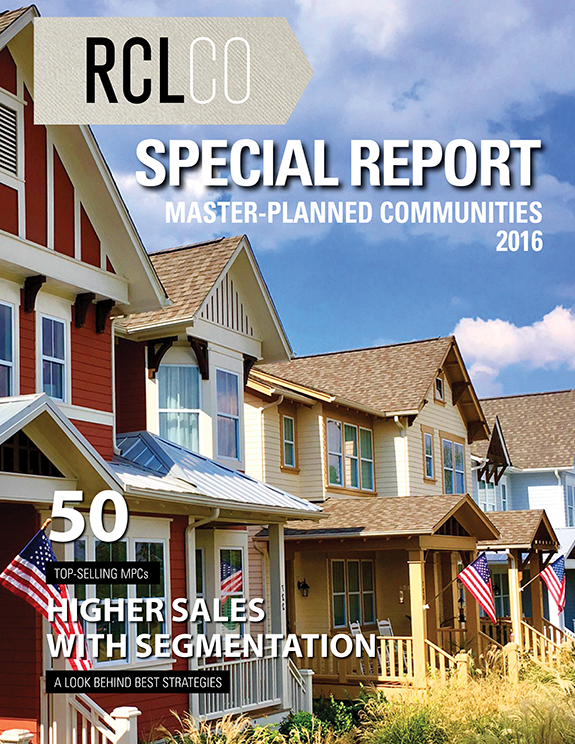 Kevin Orrock: We believe in the master-planned community model. We’ve made significant long-term investments and we look forward to strong financial returns. 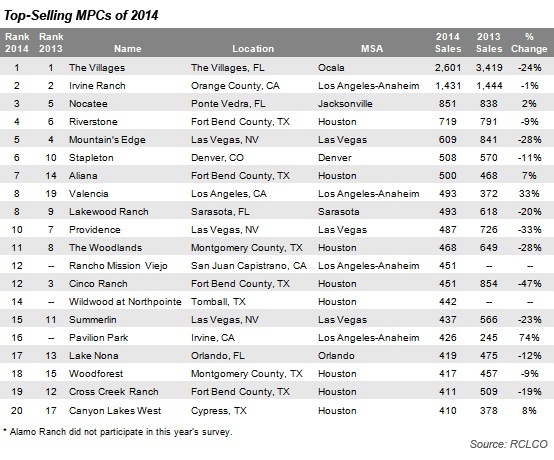 1 See “The Top-Selling Master-Planned Communities of 2013,” RCLCO Advisory, January 8, 2014. Article and Research prepared by Gregg Logan, Managing Director, Melina Duggal, Senior Principal, Todd LaRue, Principal, and Taylor Mammen, Principal.